For those with a discerning eye for the truly distinctive, Art & Home is pleased to present this collection of luxury furniture and decor. 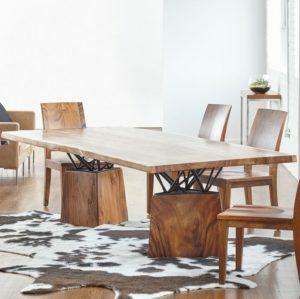 Curated from some of the finest retailers of luxury home decor and designer accessories to, this collection includes truly unique pieces that can enhance any space inside and outside of your home. Exquisite designs and exceptional quality are just part of the reason why we have classified this as part of the Luxury Furniture & Decor category. Decorate your fine home with these wonderful, luxurious pieces of bedroom furniture, living room furniture, extraordinary area rugs, and distinctive home decor accents. Plus, you’ll find a large collection of distinctive patio and garden furniture pieces that will make garden parties truly exceptional.